This has been a subject that’s been buzzing around in my head for a while. Should we focus on advertising more games specifically to women, in which case, what would this look like and is it really necessary? It seems to me that there’s still a template for advertising games that focuses on a predominately teenage male audience. Which makes me feel uncomfortable at times. I also often find myself wondering how I would learn about all the beautiful and amazing games that I play, if I didn’t work in the industry. I follow game developers, game media, game journalists, game academics, game musicians and game artists – so of course I get access to great new games, because this is my life. But if I were just a woman playing as a hobby, where would I go for my information, who’s opinion would I listen to? Adult women represent a greater portion of the video game-playing population (31 percent) than boys age 18 or younger (18 percent). So I guess we’re doing rather well without having female targeted marketing? And that’s awesome! This makes me so happy! But I wonder if we’ve only scratched the surface? Let’s not paint everything pink just yet! So, in the spirit of Ada Lovelace Day, I would like to focus on Tracy Harwood. We were so lucky this fall to have her visit Landmark in our humble city of Bergen, Norway for a lecture on Machinima. It was a pleasure to have her here and she inspired me (and dare I say, my mom) to keep living my life as colourful as possible. 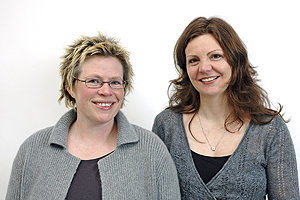 Tracy Harwood is today a Senior Research Fellow at the Institute of Creative Technologies at De Montfort University. She’s a professional marketer and has a PhD in negotion of buyer-seller relationships. It’s International Women’s Day again and time to do my annual thank you! 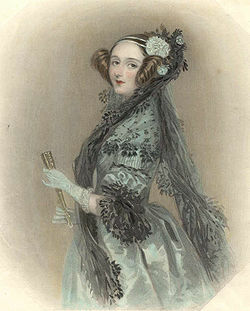 Ada Lovelace Day is taking care of my greatfulness for women and technology – so this year I’m going to keep it on a very personal level. In November 2006, Maren Agdestein organised a lunch where she gathe red three women she had met that were writing or considering to write about computer games for their master’s thesis. 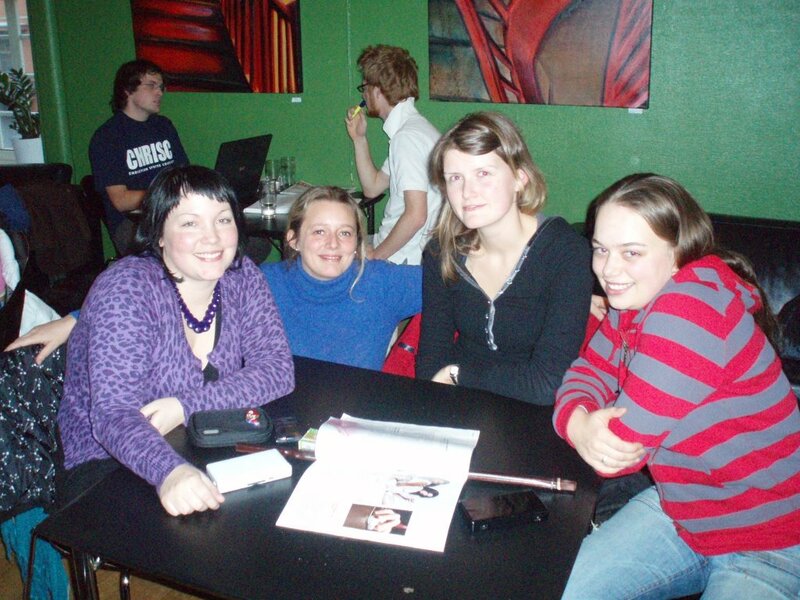 Seen here on the right from the left: Marianne, Me, Maren and Hedvig. At that time we called ourselves The cHixOrs, not really thinking that we’d do anything more than just meet up every now and then for a chat about games and our academic interests. But I think all of us really enjoyed geekspeaking with other women. There was just something really uplifting, fun and liberating about it. Since we’ve become such a connected society, I’ve noticed that my idols are more local. They’re reachable, and I may even have talked to them. Maybe its my age, but my idols aren’t billionaires (well – at least I don’t think they are) or global popstars – instead my idols are nearby, within my reach and guess what? They’re all women! I thought about this a few months ago and thought I’d save writing about it until this womens day. 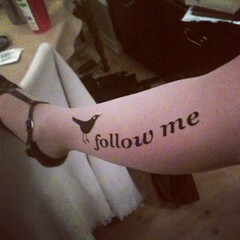 As my little tribute. First off – by idol I mean a person that truly inspires me. It’s a person I draw strength from. I don’t want to be this person, I’m quite happy with who I am. But these people help me to strive for things I really want to do. I feel inspired when I’m around them or reading/hearing their work. "The top tier of Second Life is run by the women"
Excellent Metaverse Territories introduced me to a great blogpost about Second Life from Broken Toys called “Utopia Hidden Underground: Another Look at SL“. Every now and then a ‘battle of the sexes’ discussion comes up in the gaming blogosphere which always stirs up a loud debate. Personally I think these debates can be healthy because I’m always introduced to new voices, which I enjoy. I may be getting old because I really don’t get provoked by the sexist comments – instead they just make me chuckle. Recently Crecente from Kotaku wondered why there aren’t more female gaming bloggers. Apparently Kotaku’s looking to expand their repertoire and want to include a female voice in their writing staff – well good for them. I find it incredibly odd. And I have to admit that a thought passed through my mind wondering if Crecente posted this piece just so we could point him in the right direction so he didn’t have to bother looking. So yet again ‘the battle of the sexes’ discussion has produced something wonderful. One Hundred Little Dolls has written a list of female gaming bloggers and I’m sure we’ll see it growing too! A joy to see some locals on the list: Jill Walker, Hilde Corneliussen and Torill Mortensen – I’m so proud! I can’t wait to go on a little link adventure and explore these blogs! Wouldn’t it be precious if T.L. Taylor started blogging?! When I should have been studying for my INFO 100 exam (I have no idea how I’m going to pass that thing) I had lunch with these beautiful ladies on wonderfully productive Maren’s initiative. It was a great lunch although somewhat sad for me, because these three brilliant ladies are all at the beginning of their Master’s and are about to venture out on writing about gaming. There certainly is a great deal of sorrow in my heart for seeing the back-end of my venture – I was so extremely jealous of their vigor and excitement! Urgh – how emo of me!!! Hedvig (on the far right) is getting married next summer so we went into a frantic and excited creative spurr of having a Nintendo themed wedding! I learned a lot about the role-playing community here in Bergen – which was REALLY interesting! Oh – there was just too much to blog about here – excellent and intelligent women who are interested in gaming – it was just such pure joy!!! Just talking about different gameplay strategies for the new games coming out was music to my ears! Anyways – we’re gonna try and meet up once in a while – and I’m sure others are welcome as well! So if you’re studying an aspect of gaming – let us know! Discussions are passionate, lively and enlightening! I learned so incredibly much and also felt that I could contribute as well! I think we left it that we should meet up before Christmas! Unless I get to work more the weeks before Christmas (which I’m hoping for) – I’m free whenever after December 1st and before December 20th (YAY – SINGAPORE!!!!). In my humble opinion, I think we should keep teaching staff and men out of the equation – but that’s just my opinion, don’t know what the rest of the gals think. Cool!!! Barcelona and London organise Girl Geek Dinners! What an excellent concept! Definitely comes on top of my list of “things I want to do when I’m unemployed in a month”. It would really be cool to see all the girl geeks of Bergen gathered for a dinner – I’m just looking forward to finding them! But I’m sure most of them will be just like me asking the existential question, “Am I geek enough to attend a geek dinner?”. Hmm…I feel comfortable with that! But who should be invited to speak and who can we ask to sponsor such an event? Ooooh! My mind’s already excited! And how to advertise to girl geeks! Wow! That’s definitely an interesting dilemma! What media channel to use to reach girl geeks and be taken seriously? What an interesting challenge! Woo hoo!! I’m really psyched! Finally looking forward to unemployment! ;) Hehe!